When it comes to marketing a business or a product, there can be a lot of confusion. Many people think that it is very difficult and takes a lot of time to market a business or a product. However, this isn’t completely true. With some simple measures, social media sites can be a great place for marketing. Not only do they get the news about products or businesses out, they reach millions of social media users every day. Social media marketing is by far one of the best ways and most popular ways to go about marketing a business or a product. 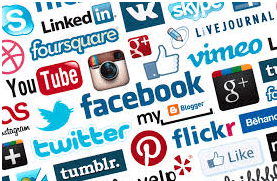 The next thing to learn is that there are many different social media sites out there. It can be difficult to know how much time to spend on each site with your marketing and what sites should be used. Following a general rule, there are 3 most popular and most effective social media marketing sites. The top 3 social media marketing sites are Facebook, Twitter, and Google Plus. Each one of these sites is great in their own way and we will review those reasons below. In addition, one doesn’t need to spend all day on their marketing measures. It only takes a little bit of time each day. People can share information they receive with their friends or family. Facebook automatically updates the News Feed for up to date information. While there are many more reasons why Facebook can be used as a great marketing skill, the above reasons really capture the essence of this social media site. By posting news, product and/or business information and having people share that information with their families and friends you will receive more viewers than just your general audience. Alongside of sharing, Facebook also automatically updates everyone’s news feeds when they login. This way anything new that you post is seen and doesn’t just get shoved to the side. When using Twitter as a social media marketing technique, you can schedule your posts so your posts can reach a variety of audiences. You can post in the morning and evening to reach those who work, post in the middle of the day to reach those who don’t work or have night jobs, or you can post on weekends. Another great thing about scheduling your posts is that you can write a week’s worth of posts at once and schedule them throughout the week. This way you can get all of your social media marketing done with Twitter in one day if you wish. By hash tagging, you can mention certain business, products, people, or events and have anyone interested in those things see your posts through a hash tag. This is a great way to reach a variety of users as well. What are the benefits of Google Plus? With the above benefits, Google Plus makes a great social media marketing site. By listing your posts with Google Plus, viewers will be able to find your information better on the Google Search Engine which is one the most popular search engines out there. You can also use hash tags in your posts as well. By using these hash tags and adding pages to your circles of viewers you can reach more users as well as increase your businesses or products popularity. What kind of time do I need to put into social media marketing? Social media marketing doesn’t have to consume all of your time. However, as with anything related to marketing, putting some time into your business or product is needed. With this said, even just spending an hour a day on social media marketing will greatly increase your presence with a variety of audiences and viewers. However, the recommended time to be spent on social media marketing for the best results is two hours a day, three to five days a week. Social media marketing is the new trend for improving a businesses or a products reputation. By using this marketing technique, you will see a great improvement in those you can reach. Cara Gilmore is a freelance writer and Guest Blogger for Clear Peach Search Engine Marketing with over 5 years of experience. Cara takes interests in seo blogging and writing seo website content. 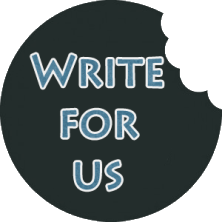 If you need the best written articles, this is the freelancer writer or guest blogger for you!